The Smallest Castle In The World? Usually when you think of a castle what comes to mind are images of huge intimidating walls that stretch for miles and are surrounded by a deep moat. But this castle is entirely different. Each of the walls are barely more wide than the windows that peer out of them, and the only thing surrounding the structure is a nice green lawn. In fact it looks like you could walk all the way around the building without even breaking a sweat. When I first saw the picture of this castle I thought ‘Is that the smallest castle in the world or what?’ and I was curious as to who would build such a place and…why lol. It turns out this little castle is called the Broadway Tower and it’s located in Worchestershire, England. There’s many rumors and legends about how the Broadway Tower came to be built but the most popular ones are about a wealthy local woman named Lady Coventry. It’s said that Lady Coventry decided to build this castle on a whim because she wanted to know if beacons lit on a certain hill could be seen from her house 22 miles away. An architect was hired and this little castle built and yes, the beacon could be seen quite clearly from her house. 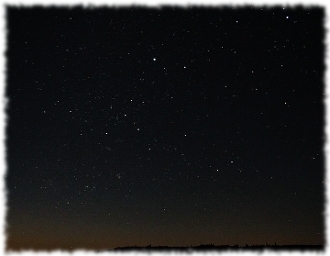 Another legend says that Lady Coventry wanted the castle built so that she could continue to woo a dashing young astronomer that she was in love with. The idea was the top of the tower would be a place that she and the astronomer could *ahem* gaze at the stars together on clear nights. Regardless of why it was built I wouldn’t mind seeing the Broadway Tower in person and exploring whatever rooms it might have. I wonder if this is one of those places that once you get inside it’s bigger than you’d expect or if it would live up to the first impression of being the smallest castle in the world. 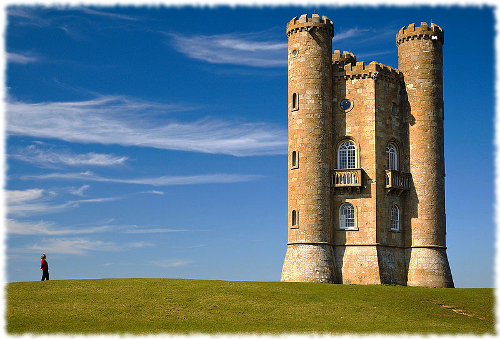 What do you think, would you visit the Broadway Tower if you had the chance? So is it the smallest castle in the world or not?